'What would happen to our mind if we create something out of thin air?'' That question popped up more and more frequently in the mind of drummer Joost Lijbaart. Being a jazz musician he is used to improvisation within the structure of tune and melody, but he wanted to let go of those boundaries and improvise spontaneously. Lijbaart: ''I performed with Bram and Sanne before on some occasions. After a couple of sessions and concerts together the idea of a fully improvised album became a logical next step because we had so much in common. The blend of Sanne's voice in combination with guitar and drums feels very natural. The lyrics, her whispering, talking and singing are so nigh the human body that it creates a prime vulnerability which makes the music open and accessible. Bram Stadhouders is one of the most creative musicians I know. His presence, both as a soloist or an accompanist plus his profusion of sounds renders all three of us the sensation that we are able to fly. "Getting Under the Surface: how jazz has gone Dutch"
"Within a short time, their mixture of jazz with elements from unspecified folk traditions had found particular favour with world music festivals, resulting in appearances in Mali, Mexico, China, Norway, and India, and since releasing their first album, Under the Surface, last year they have also appeared at major jazz events including Jazz International in Rotterdam and the Sound Of Europe in Breda." "I knew immediately we began to play together that we had something special,” says Lijbaart. “The combination of Sanne’s almost shamanistic singing and the sense of space that Bram creates was very inspiring and the elements of a kind of mysterious folk tradition that Sanne brings to the music seems to give what we’re doing a universal language." "That the resulting music, so beautiful and affecting, feels finely sculpted, is down to the chemistry between these fine musicians." "During the concerts arises so much that new doors are constantly being opened"
"Lijbaart is looking for space in the music"
"The result sounds mostly thoughtful and settled, but is certainly tasteful and intriguing." "The excellent recording quality makes the "reading" of this music an intellectual and emotional pleasure"
The trio has delivered a perfectly successful album with this album. I will not be the last one, at least that we hope! "The on Challenge Records released album is daring and houses audiophile sounds." "Joost Lijbaart is well not the default drummer as a wing bet or a piece of bossa nova of the Assembly line." "Finally a real experiment again ..."
"They have the courage to empty there minds and create something original by improvising together." "Sparkling music where sound and silence are each equivalent and makes you feel small." A world full of sounds - and creating so much space. The space behind the music, in this case. That's where Under The Surface is mostly about. "Self-assured ease with Sanne Rambags"
"Melodies are rocking back and forth, expanding like they arise on the spot." "With so few resources, the trio manages to create a beautiful new universe." 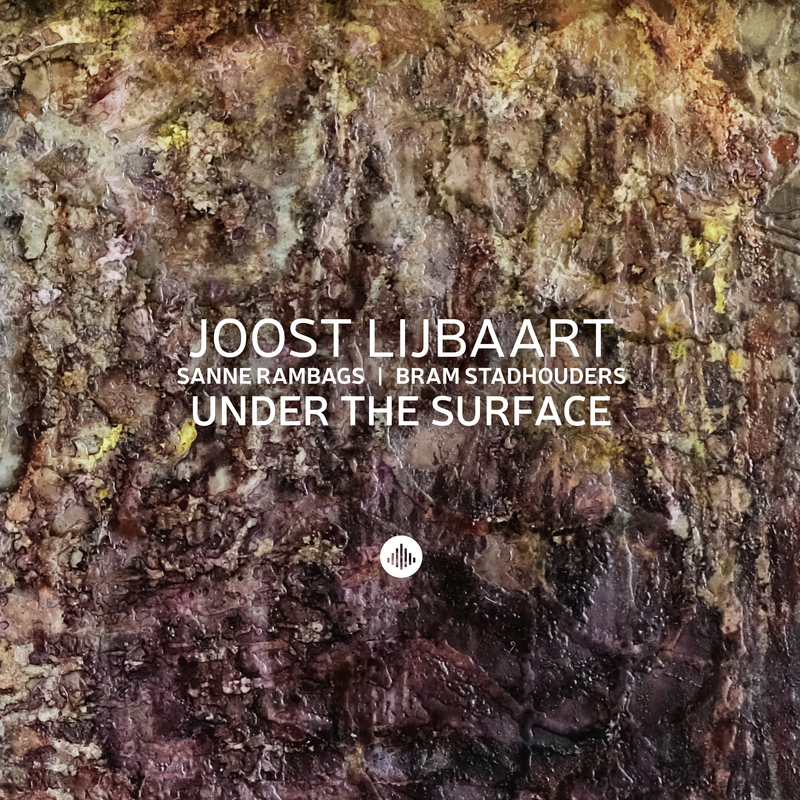 ""Under The Surface", an extraordinary and thrilling collaboration between drummer Joost Lijbaart guitarist Bram Stadhouders and debuting vocalist Sanne Rambags." "Listening to the album is an intense experience, attending the concert is magical."